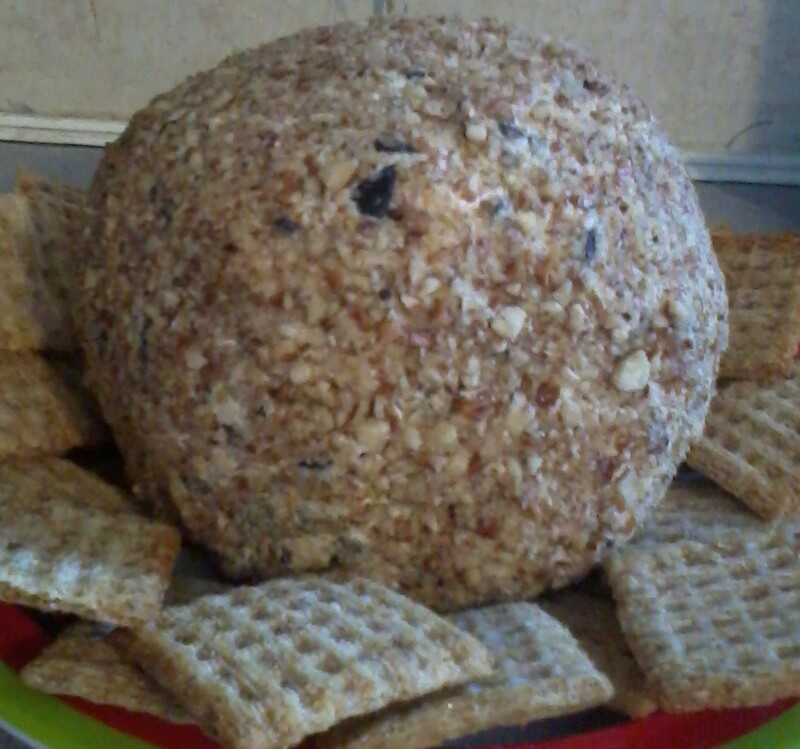 A friend of mine would frequently supply my coworkers and I with the most fabulous cheese ball ever… I got the recipe and was surprised to find that this delicious appetizer is deceptively simple. Now we frequently find ourselves fulfilling requests for this party staple. The following recipe is how we most commonly prepare it however it is delicious in many ways. We have tried it with sun-dried tomatoes, garlic and basil. Or how about some crispy bacon, ham, or pepperoni… Get creative and make up your own recipe – what would you put in your cheese ball? 1. Combine all ingredients except pecans in a bowl. Mix until all ingredients are evenly distributed through cream cheese. 3. Spread pecans over a flat surface. 4. Roll ball over pecans, making sure to cover entire surface. 5. Serve with triscuits or other favorite crackers, chips or pretzels.